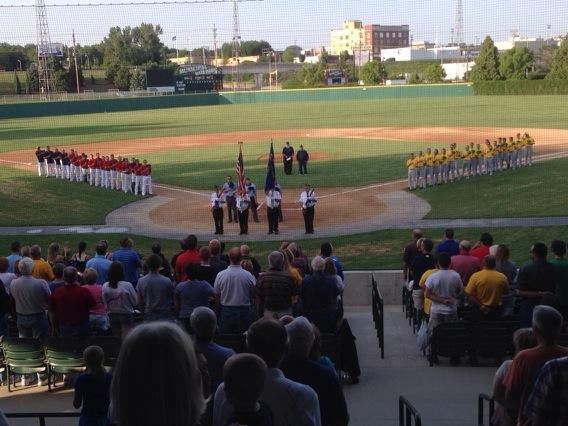 The Bismarck Governors American Legion baseball team play its home games at the Municipal Ballpark, a city-owned stadium that includes seating for up to 2,000 or more. 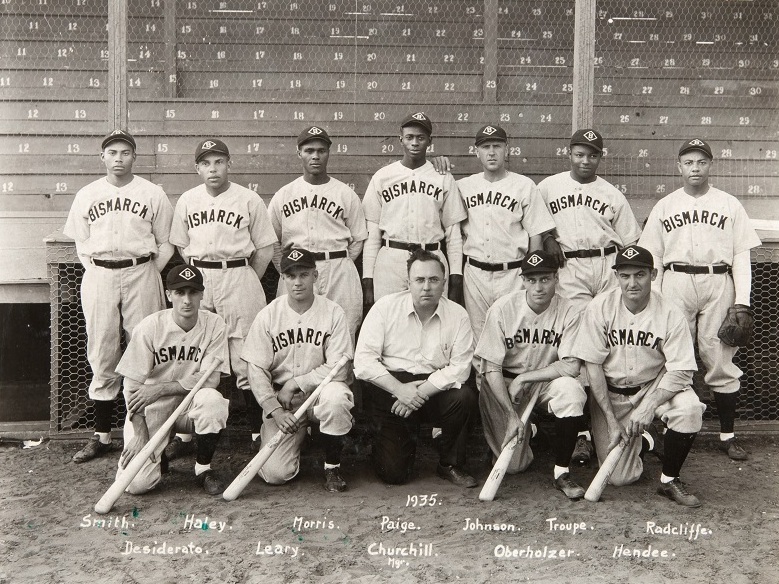 The only known photograph of the 1935 Bismarck town team shows manager Neil Churchill, kneeling in the center, and pitcher Satchel Paige standing behind him. 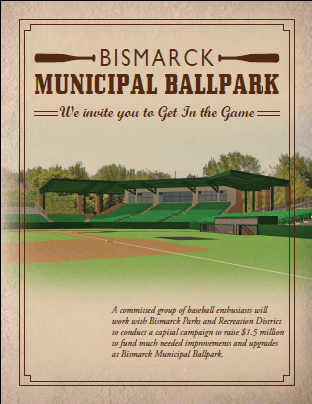 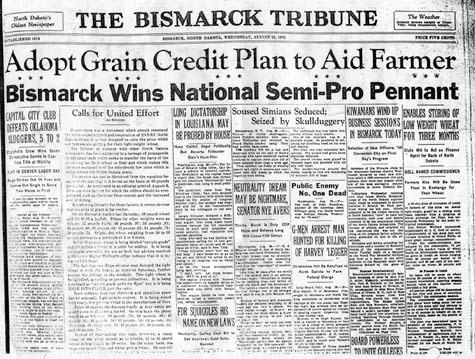 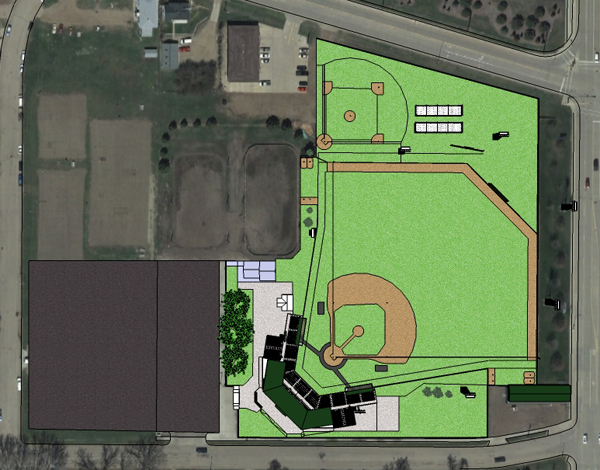 Click on the links to the right to view additional pictures of Bismarck's Municipal Ballpark. 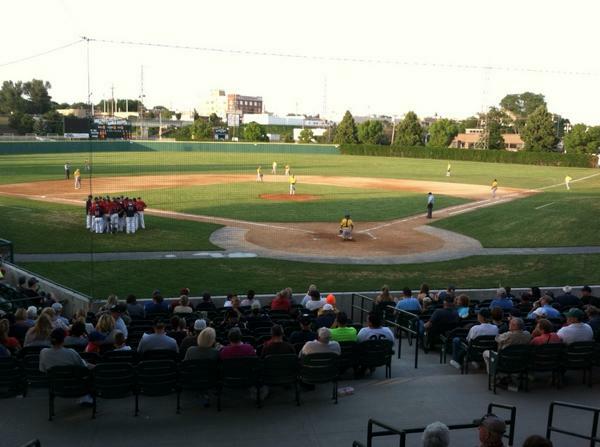 All spectators assume the risk of injuries while attending sporting events.